Local jails in the US are full of poor, mentally ill and drug-addicted detainees accused mostly of minor violations, and they have been jailed for longer periods over the past 30 years given their inability to pay court-ordered fines, a new report says. According Vera Institute of Justice’s new report, “Incarceration’s Front Door: The Misuse of Jails in America,” there are, on any given day, about 731,000 people held in America’s 3,000 local and county jails – nearly 20 times the number of annual admissions to state and federal prisons. Even though both violent and property crimes in the US are down 49 and 44 percent, respectively, from peak levels more than 20 years ago, the annual numbers of those jailed has doubled since 1983, to 11.7 million, many of whom are repeat offenders. The study found that those incarcerated in local jails are spending an increasing amount of time in jail, staying there from 14 days to 23 days given bond requirements that are out of their financial reach. Three out of five people there have not been convicted of a crime but are too poor to post bail while their cases are processed. The overwhelming majority of jailed pretrial detainees and sentenced offenders are in for nonviolent infractions, such as traffic, property, drug or public order infractions. “Underlying the behavior that lands people in jail, there is often a history of substance abuse, mental illness, poverty, failure in school, and homelessness,” the study found. The report echoes typical grievances surrounding the US police-court-prison mass incarceration system, which has received heightened scrutiny since the fatal police shooting of unarmed black teenager Michael Brown in Ferguson, Mo., last August. On Feb. 8, lawsuits were filed against Ferguson and Jennings, another St. Louis suburb, alleging systems akin to a modern debtors’ prison. The mass of excessive fines and jailings over minor offenses issued in those cities, they argued, amount to a “municipal scheme designed to brutalize, to punish and to profit." The new study also focused on the disproportionate amount of people of color within the local jail system. Those jailed on accusations or convictions concerning illegal drugs have gone up to 25 percent in 2013 from 9 percent in 1983. Those drug offenders, the report said, were disproportionately African American. In addition, the study found that even though 68 percent of jail inmates had a history of substance abuse, drug treatment programs available to them are drastically underfunded. Mental health programs have also been poorly resourced, the report said, as more than four of five inmates with a mental illness were not treated while they were detained. Thirty-four percent of mentally ill jail detainees had been using illegal drugs at the time of their arrest, as opposed to 20 percent of the rest of the jailed population nationwide. And anyone seeking mental health treatment in jail would spend as much as twice the amount of time in custody as others. 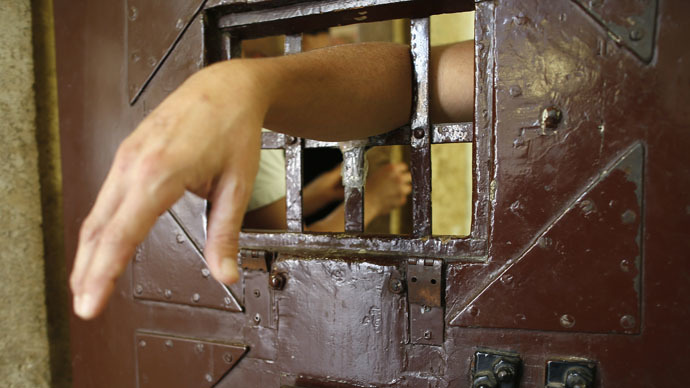 Local jurisdictions spend $22.2 billion per year running jails, the report found. While much reform effort has focused on the prison system – including early release initiatives and the phasing out of some mandatory minimum sentences – the report posited that that local jails deserve as much attention. In coordination with the Vera Institute study, the MacArthur Foundation announced Wednesday that it will invest $75 million over five years dedicated to 20 as-yet-unnamed local jurisdictions that are attempting to reduce their jailed population. "Jails too often serve as warehouses for those too poor to post bail, nonviolent offenders, or people with mental illness," said Julia Stasch, the foundation's president, in a statement.